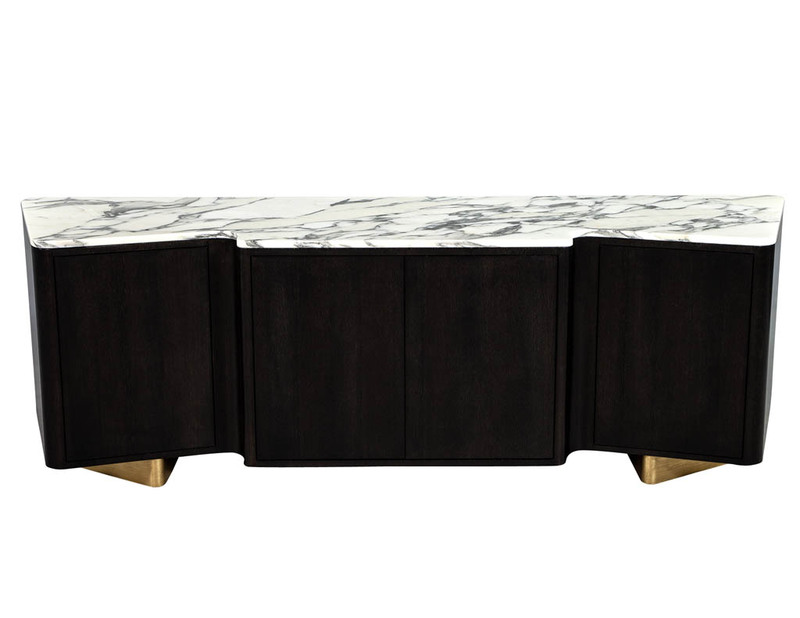 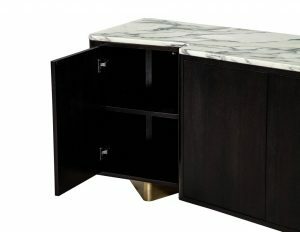 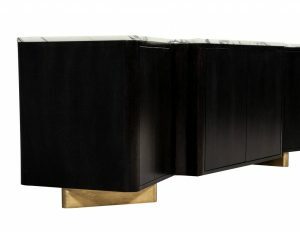 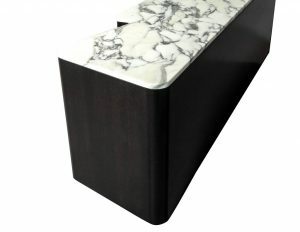 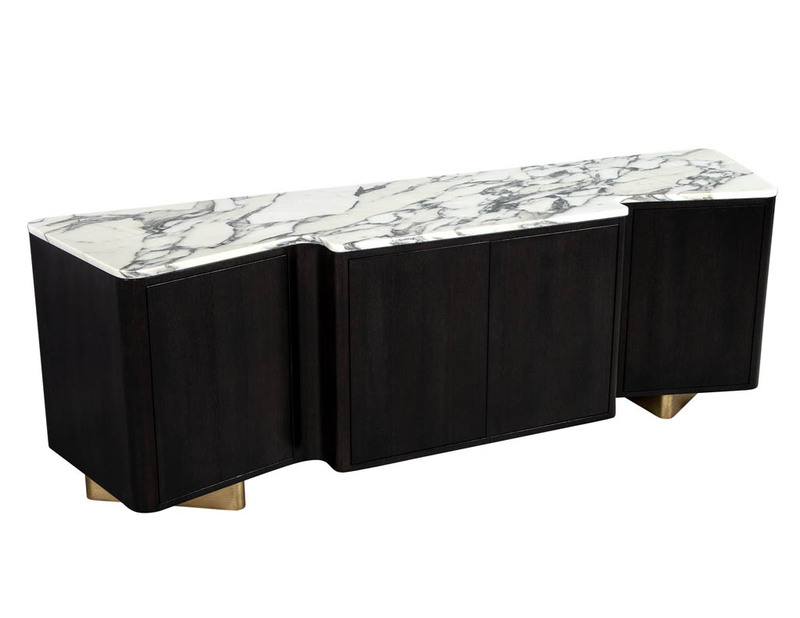 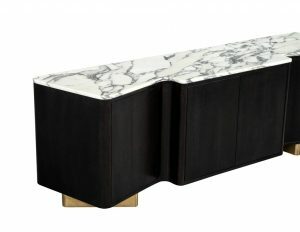 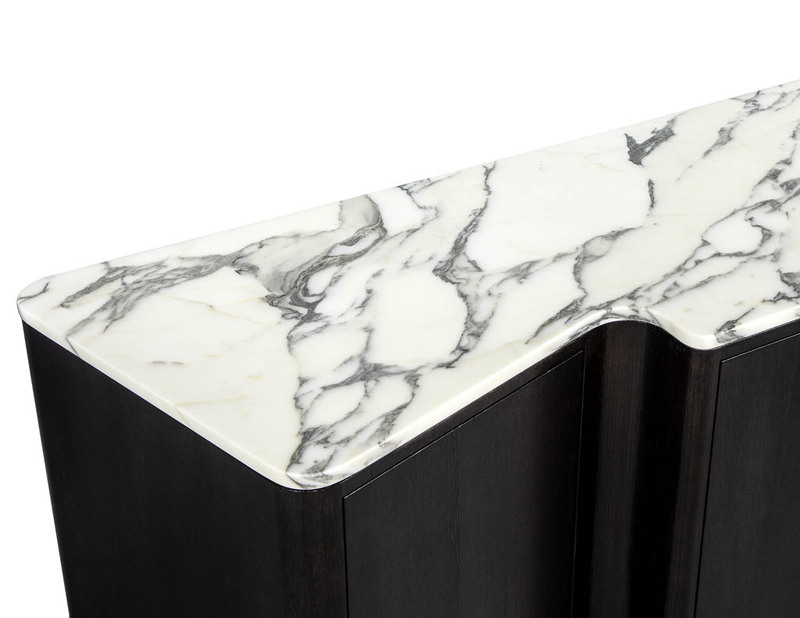 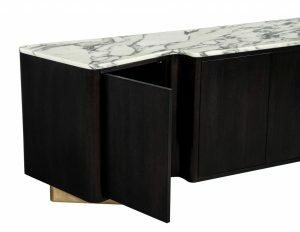 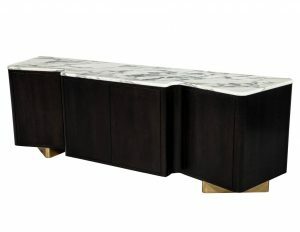 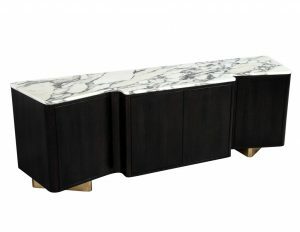 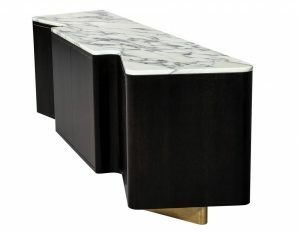 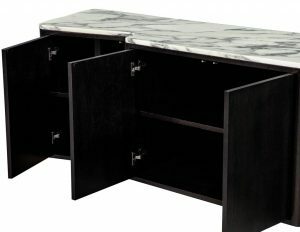 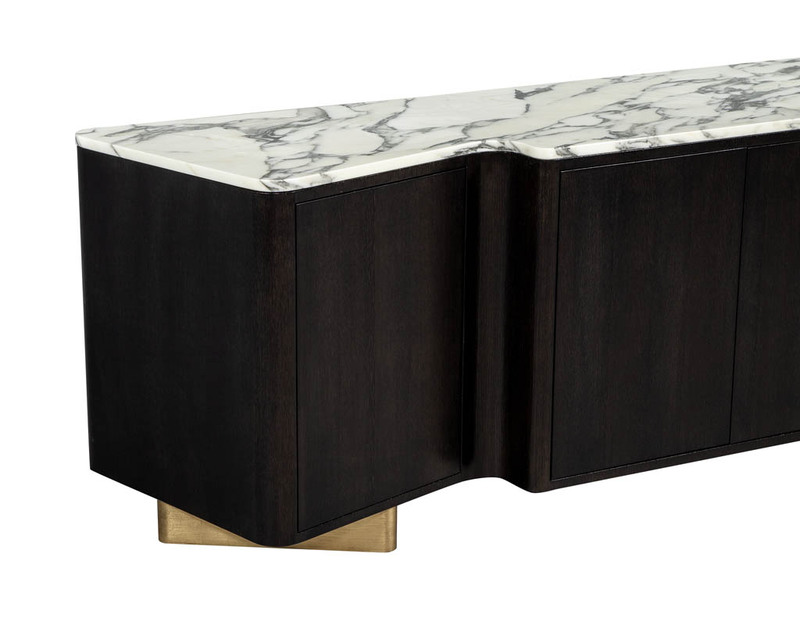 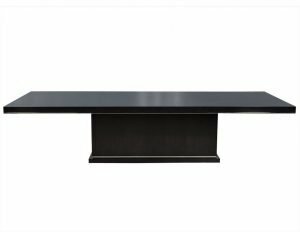 Carrocel Custom Serpentine Modern Styled Marble Top Sideboard Buffet. This cerused oak piece is a stunning example of artistry in furniture building. 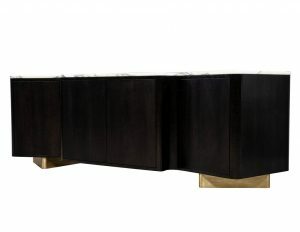 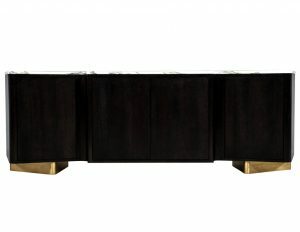 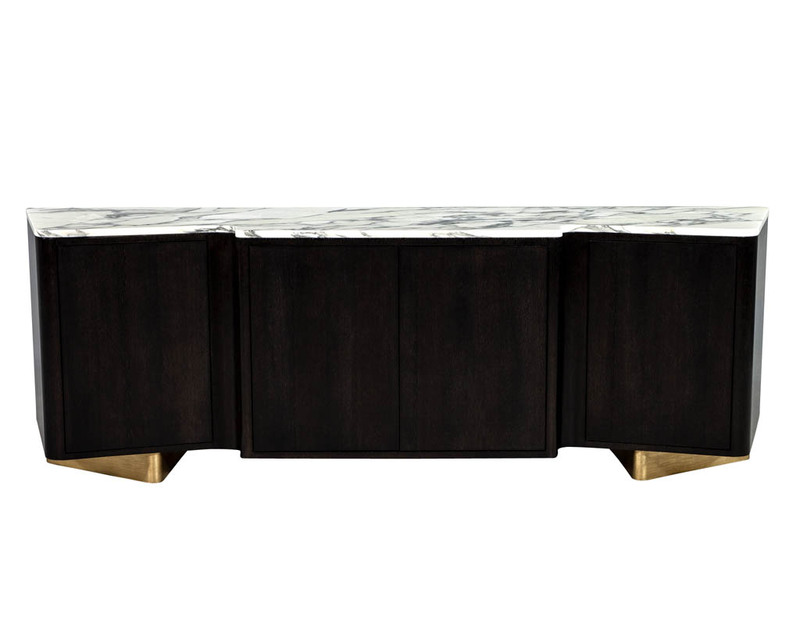 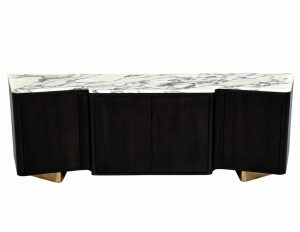 With flowing curved designs positioned on geometric gold leaf bases. 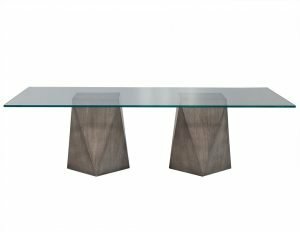 Featuring a custom Calacatta Paonozza Stone Top with a volcanic cerused oak finish.